The next version of Samsung's Galaxy range, the S7, has been unveiled at Mobile World Congress in Barcelona, Spain, and it's likely going to be the benchmark smartphone that all other Android handsets are judged against over the coming year. The Galaxy S6, released in April 2015, was more powerful than the iPhone of the time and, more importantly, bested its other Android competition, specifically the high-end phones from LG and HTC. As such, it was a hit with customers and, according to Deutsch Bank analysts, saw six-month sales of around 45 million units, helping Samsung capture over 98% of the total smartphone market alongside Apple. However, some felt that the S6, which followed on from the immensely popular Galaxy S5, was a flop and so Samsung has worked to make the S7 a hit, with the latest technology and features. The phone comes in two versions: The S7 and S7 Edge. Both phones run Android 6.0—named “Marshmallow”—and bring back the microSD card slot (a feature that was missed on the S6), alongside an “always-on” display. The hardware is as powerful as the S6, with 4GB of RAM, a new processor, and the same 5.1-inch display (or 5.5-inch on the Edge) as before. There is one notable exception to the S7's rap sheet: USB Type-C. The technology is new and, for some companies, exciting: Apple has brought USB Type-C to the MacBook, its new, 12-inch laptop, and Google has brought the technology to its updated Pixel. Various smartphone manufactures, such as OnePlus, the makers of super-cheap-but-surprisingly-good Android handsets, and the Microsoft, with the Lumia 950, have adopted the technology. The reluctance of Samsung and Apple should be concerning for anyone who wants to use a USB Type-C port on a phone and it seems that Samsung has actively avoided the new technology for the S7, which will go on sale later this year. It's unclear why the Galaxy S7 lacks USB Type-C—and it's unlikely anyone from Samsung would publicly say—but it could be down to either the newness of the technology or the fragility of it. A Google engineer experimented with various cables that support the connector and found that some cheaper versions actually damaged his Chromebook Pixel, something that an everyday consumer would not find acceptable. According to the engineer, some cheaper cables draw more power than they need, frying the host computer. This could theoretically happen to a USB 2 or 3 cable, but the cables know not to draw too much power. USB Type-C cables don't, however. The Verge, a technology news website, wrote that Amazon should start certifying trust-worthy cables, but this speaks to a bigger issue with the technology: It's new, relatively untested, and could be unsafe. It would seem that smartphone markers are even more sceptical than consumers and are choosing not to adopt the connector in current or future smartphones, like the Galaxy S7. 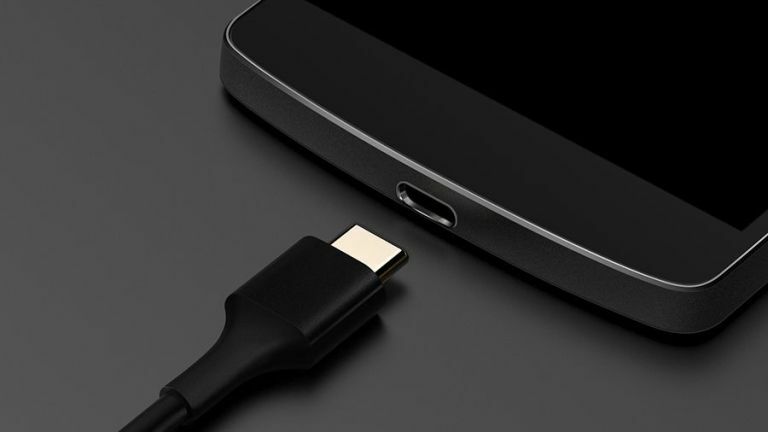 The lack of adoption could kill USB Type-C, stopping it from becoming a mainstream connection standard like USB 2, 3, microUSB, or the Lightning connector. In fact, it may have been the Lightning connector—which is widely used because Apple chooses to integrate it into every new iPhone and iPad—that killed the USB Type-C port. If Apple had been willing, it might have taken off. Declaring USB Type-C “dead” is bold, especially as laptops—driven by the MacBook—could still start to integrate the technology more widely, but PC sales are slowing down and smartphones sales are speeding up. For a technology to become widely adopted in 2016, it needs to be bundled on smartphones—and USB Type-C just isn't. The future could be bright, of course. Samsung may have a change of heart with the Galaxy S8 and the iPhone 7 may feature the technology—although, given Apple's shift to Lightning this seems unlikely—and other players, like Huawei or LG, could adopt it. Timing is also not an issue for a standard like USB, which has been around since the late 1990s and does not rely on profit to survive. But, unlike some other technology (such as wireless charging) it would seem that USB Type-C will not be something everyday consumers use in the coming years.